Earlier today, Huawei held a huge press conference in Shanghai where it unveiled the Huawei Mate 20 series. In addition, the company also released a plethora of smart home devices and the Huawei AI speaker. The Huawei AI speaker comes with speech synthesis technology from Orion Star. Xiaomi, Midea and other companies currently make use of Orion Voice OS technology. In fact, this technology occupies more than 30% of the market share. This makes it one of the most widely used AI voice system. 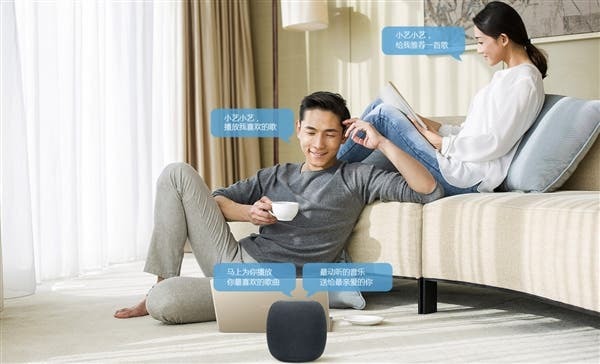 The Huawei AI speaker uses “Xiaoyi Xiaoyi” as a wake-up word. The AI feature activates when you say the word. With this speaker, you can smartly manage multiple schedules. Moreover, Xiaoyi can record, create and personalize songs according to personal preferences. More importantly, Huawei AI speakers are also compatible with smartphones. You can search your phone contact using this speaker. Not only searching the phone contact, you can also make the call without reaching for your phone. While focusing on other businesses, you can chat with friends and family using the AI speaker. 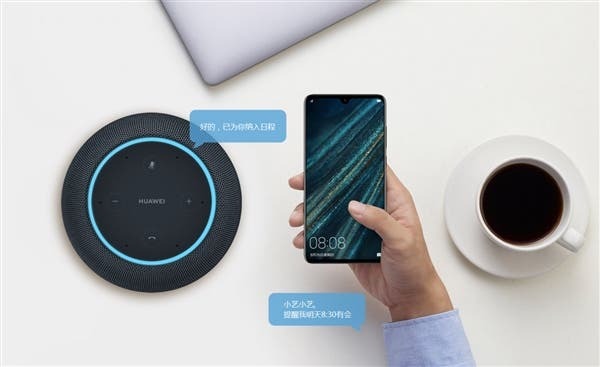 In addition, Huawei AI speakers can be used as a control center for other smart home devices. It can easily control smart lights (adjust brightness), air conditioning and other devices. It is worth mentioning that Xiaoyi can search for other things. Stuff like maps, language learning, kiddies stories can be sorted out by this system. 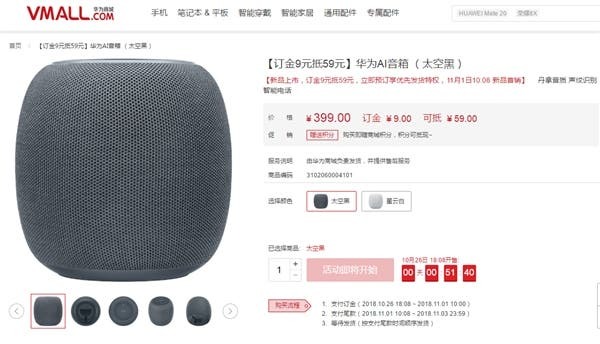 Finally, the Huawei AI speaker comes with a 399 Yuan ($58). The device will be available for pre-sale from today but the official sale will commence on November 1. Please note that its compatibility with other languages was not mentioned in the release notes. Thus it is best to assume that this device works best for native Chinese speakers.